IN THE GALLEY!! COMING UP TO XMAS!! Today was a good day, made christmas lunch for some elderly people and i really enjoyed it, i made the stuffin balls, steamed sprouts, glazed carrots and the sausage and bacon wraps. Also today i cleaned part of the galley as we are going on christmas leave so we have to deep-clean. Which i think is good as it keeps the high standards of the galley up and it prevents bad food production, or as my chef says work in mess and create mess. 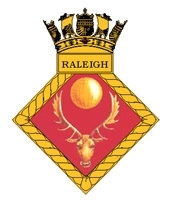 Relating to chef, christmas, hms, mark, navy, newcastle, rayleigh, riley, Xmas. I take each day as it comes, some days i have my highs and other days i have my lows. Today has been a good day NVQ wise as i completed three more dishes towards getting an NVQ level 2. Relating to chef, friday, friends, funeral, hms rayleigh, Kit, life, mark, Military, NVQ, riley, RIP, weekends. Hello my name is Mark Riley i am 17 and i am from South Shields, and welome to my first blog. You might think that life in the navy is easy but its actually quite difficult. Relating to 17, boy, chef, chef mark riley, decisions, friends, hms rayleigh, mark, navy, riley, royal, ship.